‘TOHOKU – Through the eyes of Japanese photographers’ is a wonderful exhibition depicting life in the vast north-eastern region of Japan Tohuku, which hit the headlines in 2011 after an earthquake struck, leaving 20,000 people dead or missing. 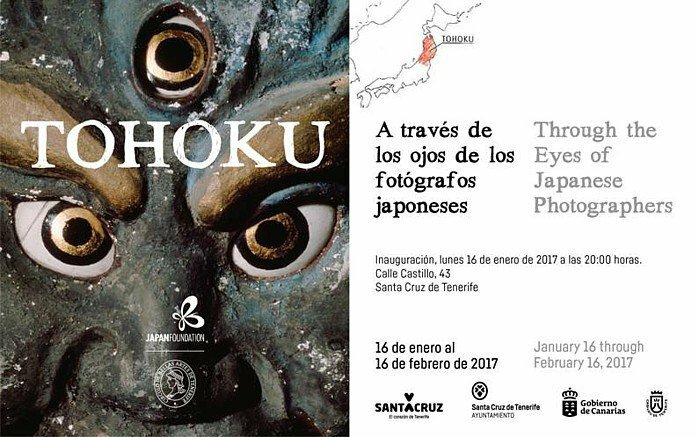 The exhibition opens on the 16th January at 8pm, presented by the Circulo de Bellas Artes de Tenerife and the Embassy of Japan. The exhibition shows the works of 9 photographers over 7 decades and commemorates the anniversary of the great earthquake. This exhibition does not try to document the damage or recovery of the earthquake. But rather uses photography to show the natural and cultural environment of Tohoku together with its people and their way of life.